Today I did a Facebook Live video about image or rather the default avatars on social media profiles. One can gather quite a bit of information from what is on or absent from a person’s profile. Depending on how you use social media, you will more than likely occasionally receive or send connection requests from/to strangers. When using social media in a professional way one of the first things you’ll want to do is replace the default avatar with a photo. Personally, I prefer to use a headshot however the choice is up to the individual. Unfortunately, often, the default mystery silhouette or avatar is used instead of a photograph. While there could be legitimate reasons why someone would opt to keep the avatar I’d feel uncomfortable accepting these requests. I think many people assume that image isn’t important in the digital age when nothing could be further from the truth. While we can connect with others in a meaningful way when we disregard the importance of our profiles we are selling ourselves short. 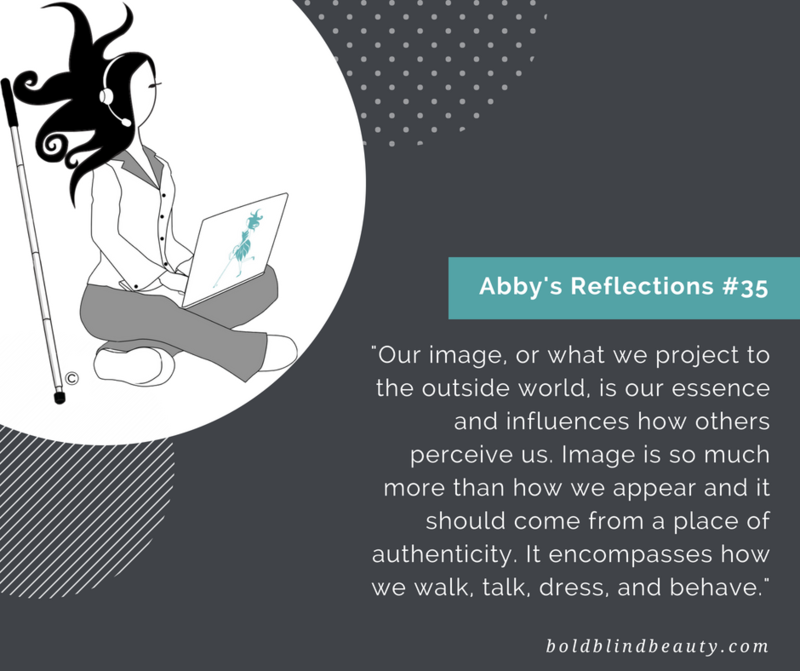 A gray, teal and white boldblindbeauty.com template uses the ‘Abby’s Corner’ image. Abby, sporting her signature explosive hairstyle is sitting cross-legged in her PJs (gray bottoms & white top with a gray collar). She is using her teal Abby logoed laptop with a headset/microphone and her white cane is propped up next to her. While I could understand why someone doesn’t display his/her profile picture, at least use a picture of something you like. A butterfly for instance, or your pet. Something to reflect you. I wanted to add…another great post! Yes!! 💖 This was exactly what I recommended when I did the live video. Yes, it does. The video is in a closed group and I don’t think I can share it but if I can I’ll send it through FB messenger.